Keeping your skin clear, healthy, and protected has to start early in life. If you are an adult with children and you don’t take care of your own skin, now is the time to begin. Your skin is the largest organ in your body, is essential to good health and hygiene and good habits should begin in childhood so they will continue throughout life. If you encourage and model good cleansing behaviors for your children, you are giving them the gift of health. Because childhood progresses into the teen years when the body is changing rapidly, knowing which cleansers, toners, and moisturizers to use, how to apply sunscreen and develop good routines is something parents can promote. Emotional health can be affected when a teen is faced with skin problems. Support and encouragement in good hygiene for the entire body can give your child confidence and a higher self-esteem. Teens don’t automatically know how to care for their changing bodies and learning from other teens is not very effective, so parents should play an important role in guiding their children towards an early start in body care. Both boys and girls need to understand how to maintain clean skin and hair, what products that are appropriate to use, and they should be aware of their own personal attributes such as dry or oily skin. Socially, all children want to be around others who are clean, smell fresh, and are well kept physcially. Parents want to give their child every tool required for success in life. If children learn from an early age how to take care of themselves, they will have an easier time when they are teens and there is a natural tendency for an increase in skin care. For some parents, there is a feeling of inadequacy in this area. If that is the case then find classes for yourself or your child or teen that promote health and hygiene, help them discover products to use and learn other ways to get through the teenage years successfully. Don’t think this is not important, because it is and for many reasons. Healthy skin and healthy hygiene will reduce many barriers to any person’s daily life at school, work and play. Give your child the advantage with knowledge, insight, and training for a step up toward finding success. Both parents and kids have come to depend upon technology to function in daily life. It is amazing in so many ways. We can stay in touch with each other, communicate with photos and images and find information quickly. There are, however, negative aspects that teens whose brains are yet to fully develop, must choose to avoid. It is similar to a tight wire act for parents. Balancing giving your teen independence but promoting healthy technology behaviors is tricky. To be perfectly frank, balancing any issue with a teen is tricky and here’s why. A study at the McLean Hospital in Belmont, Massachusetts, researchers studied a teen’s and adult’s ability to identify emotions using images. They used M.R.I.’s to watch the parts of the brain that worked during these tests. The part of the brain that reacted in adults was the frontal cortex often called the CEO of the brain. The part of the brain that activated in teens was the amygdala, which is more instinctable and reflexive. The teen brain reacted more often without thought. No parent is surprised by this information. What it does indicate is that teens have to be given more instruction in how they react to their environment. With technology a mere flick of the thumb, an off the wall comment, or a slight push from peers can create an action with technology that creates a huge problem for the teen. Teens are so focused on being part of the crowd, included, accepted, and doing what is cool that they tend to be impulsive to make those choices. Sending an inappropriate image or text can result in unintended consequences, leave teens open to what they feel is an anonymous communication, and cross the line between legal and illegal actions unknowingly. #1. Do only those things you would like done to yourself. #2. Don’t text when angry. #3. Put your privacy before anything else. #4. Remember that whatever you put on line, stays on line. #5. Anything can go viral. #6. Don’t communicate anything you don’t want your parents to see because they will. #7. Don’t talk so loudly that others can hear your conversations. #9. For every hour on line spend one hour off line. #10. Don’t allow phones during meal times – talk to each other. In the past children were brought up with more family guidance because family was close by and generations of families had a hand in the raising of children. Children were influenced more by their family than their friends because of this tight family community. Parent, grandparents, aunts and uncles all stood together with the same values, behaviors and influenced the younger members toward social and emotional competency. Things are different today. People are more mobile so generations of families tend to float apart and children are less influenced by generational supports. They grow up developing the ways of their friends and their friend’s families, babysitters, teachers, television and the internet. Life has changed and with it we have lost the ability to mold our children. It has become necessary to pay attention to the direct instruction and modeling of behaviors that are respectful to others and that encourage our children to contribute to each community they are part of as opposed to that community pushing it’s values on our children. We want our children to have empathy for others, to better their world, and to grow knowing they can influence their environment in positive ways. Knowing how to make good choices is essential. Children have to choose how to respond to others, to discuss an issue, to understand emotions in themselves and others and how to work, play and live in a world community where there are so many choices being presented to them each day. If a child is given a basic set of rules or a system for making choices and knowing expectations, they will feel more confident and less anxious. Long ago, children knew where and who to go to for confirmation, support, and encouragement. Today children often only have their immediate family, and a circle of people who live on the periphery of their family and are less likely to have the same concern as extended family. This compounds the need for parents to pick and choose who will influence their children. It requires families to pay attention to those people in their children’s lives who value what they value. Few parents really think their child will grow up to be a successful adult without teaching them how to attain that goal. We send kids to school year after year to excel in academics, but what do we do to make sure they have social skills, confidence, and etiquette, which are all necessary for success? Very little is the answer to that question. Somehow, we think our children will just absorb what they need to know naturally as they grow. Waiting for that to happen is a mistake and your child will pay for that mistake. Children need to be taught and shown manners, social skills, appropriate communication skills and they need to be guided as they build confidence, increase emotional intelligence, and people skills. It is important for parents to know and access training that will give their child the boost they need to fully become a successful adult and not sit by and merely hope it happens. Unless parents make the effort to teach their own children what they need to behave appropriately in all situations, they need to seek out specific training by a professional who does these on a regular basis. Once children have learned skills they are ready to practice those so that when they become adults well versed in behavior that emits success. In 1999, in The Journal of Educational Research, Vol. 92, Issue 6, Greg Brigman and others, presented the article “Teaching Children School Success Skills.” This study pointed out the success of children in specific schools that added the direct instruction of behaviors that increase listening, attendance, and social skills. The research showed children who got the direct instruction in these “nonacademic” skills significantly increased performance in school. Children who learn and know how to behave will do better in school, and earn the respect and admiration of others. They will demonstrate more leadership qualities and model effective relational skills. Give your child that edge in their development through classes that teach such skills and don’t just wait for them to soak up those skills naturally. Help your child take their dreams. to reality. Visit our website www.ImageflairAcademy.com and www.EtiquettePlusAcademy.com to know more about our program. Wlecome our new graduates to Image Flair Team! I would like to congratulate our recent graduates from Singapore who attended our 5 days Elite Certified Etiquette Professional ® Train-the-Ttrainer program. 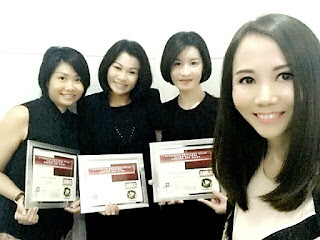 These 5 days Elite Certified Etiquette Professional ® Train-the-Trainer program is a one of a kind certification exclusively designed for Image Flair Academy and currently available only in Singapore and in Canada through Civility Experts Worldwide. The program offers comprehensive package including Children’s Character, Confidence and Courtesy ® and Civility at Work ®, personal presentation skills, marketing, business basics and public speaking skills components all rolled into one certification. The Image Flair Elite Certified Etiquette Professional Train-the-Trainer program is a wonderful certification for anyone who is passionate about teaching children and business etiquette for adults. Why I Love MED-LINE™ SkinCare Products! In my recent interview with LiveWell Woman, I am honored to be acknowledged as one of three "women who inspire". I am grateful to be acknowledged in this way, and the experience has high-lighted how important mentorship and leadership is for women of all ages - but particularly women in business. In my interview, I have also shared about my love for MED-LINE™ Skincare products and the reason why I launched my new business M & O SkinCo. As a parent, I want to make sure the skincare products that my family uses are safe from all toxins because the products that we use will go through our blood stream. I am particularly selective on the skincare products that I used at home because my daughter who is 12 years old is suffering from juvenile arthritis, myositis, gastritis and GERD. Besides these illnesses, she has eczema and hyper sensitive skin. 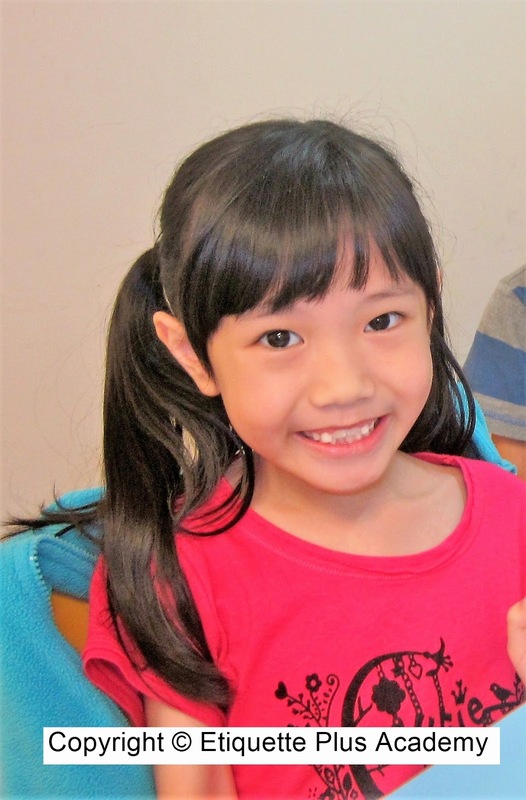 I have tried and purchased many skincare products including Cetaphil Cleanser which is designed for sensitive skin, are not suitable for my daughter. Her face will develops red spots, rashes and itch after using it. I began to search for a safe skincare product for my daughter as well as for my clients and students. 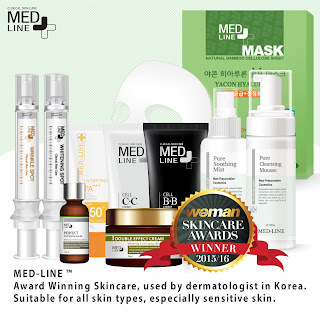 I chanced upon MED-LINE™ skincare products in July 2014. MED-LINE™ skincare products are free from the 7 harmful toxins, are not tested on animals, are not genetically modified and are free from animal by-products. Best of all, these products are suitable for all skin types, especially hyper sensitive skin or inflamed skin. MED-LINE™ products can be safely used by people suffering from Rosacea, Eczema or Psoriasis, and can be used on children/young adults or on those recovering from an illness, or have undergone post-radiation therapy or are immunocompromised due to any reason. This product is absolutely perfect for my daughter! I contacted MED-LINE™ and asked them to send me samples. I tried the products myself and passed a set to my sister who suffered from hypersensitive skin and eczema and another set to my sister who lived in Sydney. My sister, Joyce Tan who is now a co-founder of M & O SkinCo has been trying other treatments and products and nothing worked. After trying MED-LINE™, the results were fantastic. My sister had no reaction to the products. No itch or rashes. Her skin became radiant and she was even complimented by her colleagues on her good skin. I was very happy with the results. As an image/grooming and etiquette trainer, I have tried many skin care products and none of them worked for my daughter except MED-LINE™. I would highly recommend MED-LINE™ skincare products to those with sensitive skin. If you or your family members have sensitive skin, do try MED-LINE ™. My daughter tried MED-LINE™ Pure Cleansing Mousse and the result was amazing! She does not like to wash her face before but now, she loves it. She enjoys applying the mousse on her skin and taking care of her skin becomes fun . She feels happier too knowing the skincare products worked for her and is safe for her. I felt good too because I know the products that my family uses are safe from all toxins. This is extremely important for me especially for my daughter. For parents, who are looking for perfect cleansing foam/mousse for your children, try MED-LINE™ Pure Cleansing Mousse. Your children will look forward to washing their face each day and most importantly, it is safe and effective for hyper sensitive and normal skin. 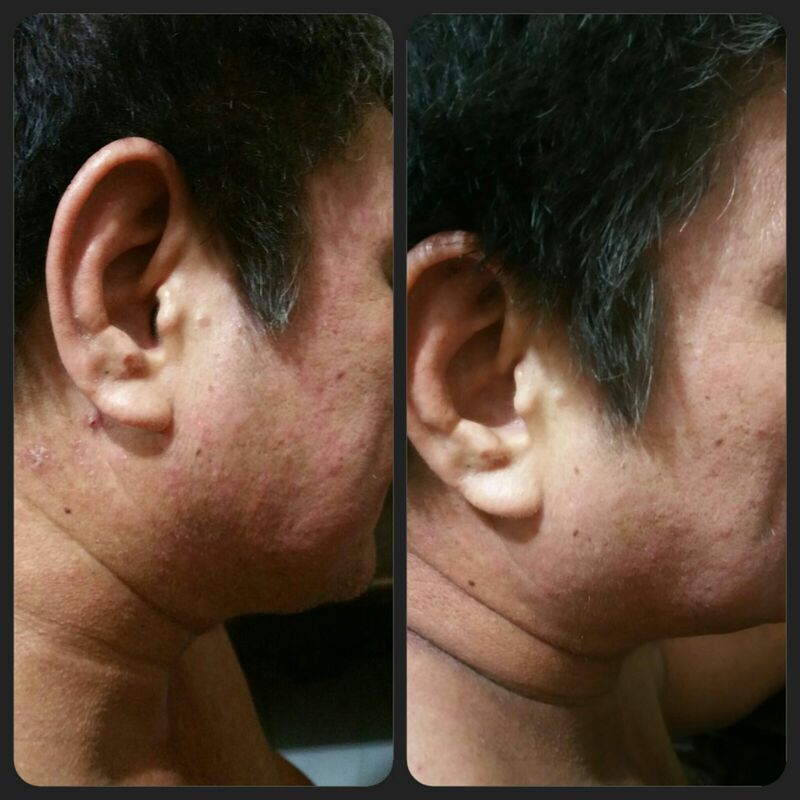 MY client had tremendous result after using MED-LINE™ skincare products for a week. She had recommended it to her dad and her dad loved it too. The result was amazing!! She loved MED-LINE™ products so much that she used Cell CC Cream on her clients too. 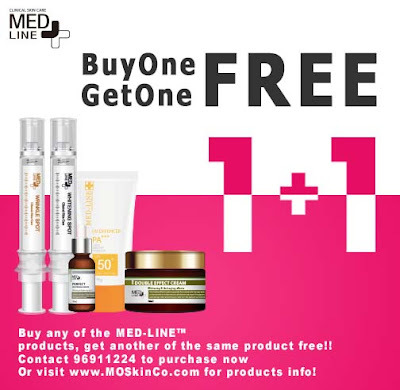 Try MED-LINE Skincare products now! MED-LINE Singapore is offering Buy 1 get 1 Free of the same products now till 14 August 2016. Free delivery above $50 in Singapore.